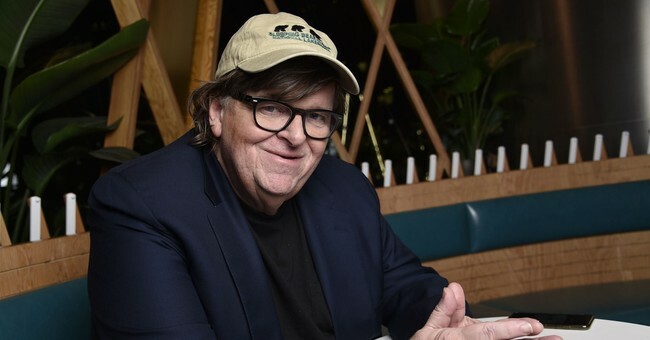 Democratic filmmaker Michael Moore on Sunday released raw, unedited footage he captured for his latest film, "Fahrenheit 11/9." Moore claims to have footage of the suspect behind the bombs sent to Democrats and CNN, Cesar Sayoc. You’ve seen the photos of him on the news over the past couple days– a slight, normal, everyday American. But those are from before. Here with our footage I can show you what he had actually become — overdosed on steroids in what looks like some desperate attempt to hang on to what was left of his manhood. Men, people like Cesar have been led to believe, were and are under attack by the likes of Hillary and Michelle and all those “feminazis” who’ve had but one mission: political castration. The theft of power from the patriarchy that had been in place for 10,000 years. The end of men. So none of this week’s abhorrence surprises me in the least—except for the fact that it is the President himself who is the “what-me?” instigator of it. There are so many things to be said about Moore's post – and his assertions. Crazy people like Sayoc don't represent all right-wingers. Yes, we're angry about the direction our country was heading down under President Barack Obama. Yes, we voice our concerns and why we appose liberal policies. But don't for a second thing that the mass majority of us condone violence. Because we don't. We want people to show up to the polls, to vote out those we disagree with and replace them with someone who will advocate for the policies that we want to see implemented. We don't believe in sending bombs to public figures (no matter how much we disagree with them) or shooting people we don't agree with. To assert otherwise is flat out wrong. Making those kind of assertions does nothing but create even further political divide. If Democrats really wanted inclusivity, they would stop pointing the finger and blaming half the country for the actions of one crazy, deranged individual. Not only that, but what was the purpose of releasing this footage? Was it to say, "Ah-HA! LOOK! A Trump supporter! They're all dangerous!" or was it to get the upper-hand heading into midterm elections? Whatever the motivation behind releasing this footage is, Moore needs to rethink his stance and realize that he's pushing the notion of "war" on his liberal supporters just as Trump has on his. But you know what Moore will say: he's not calling for violence and Trump is. And we all know that's the furthest thing from the truth.